Visit a magical world right now! Are you ready to solve the most magical case ever? 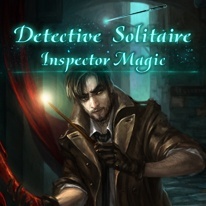 Join Inspector Magic and find out what hides behind a case of a fantastical creature. Investigate 12 different locations that are linked to the crime! Complete quests and find clues and leads to solve the mystery! You’ll encounter many difficult card deals on your journey! But you can handle them! - The Ministry of Magic needs your help! - Earn achievements and get all 15 clues and leads!